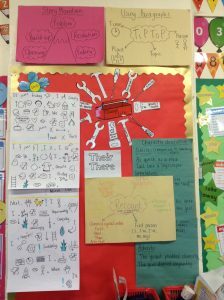 Year 3 classroom… Have a peek at our wonderful work! 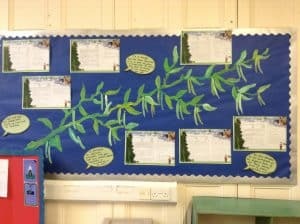 We have been writing our own change tales inspired by Jack and the Beanstalk. 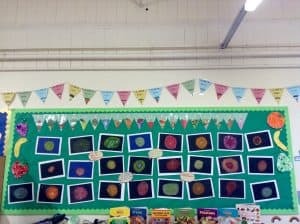 We have been working with our school artist, Tim, to create some autumnal artwork and these pastel sketches of different fruits. 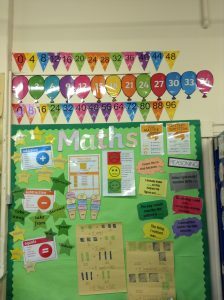 These are our Maths and English working walls. 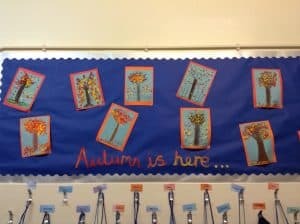 We change them regularly according to what we are learning so that the children can use them for support in lessons. 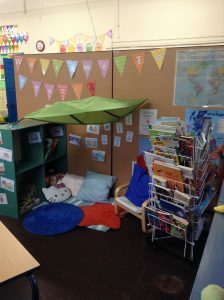 This is our snug reading corner where we can read books, poems, magazines and a range of information texts.